Hi everyone! It’s Mandee from Designs By Miss Mandee here—back again to share another fun printable freebie. We’re only 11 days away from Christmas (not that you need reminding), so to help get you into the holiday spirit, I’m sharing this festive Christmas decor printable! Simple yet beautiful. I’ve always been a big fan of fancy script fonts (ever since Monotype Corsiva—where are all my Office 95 font junkies at?). In college, one of my professors band me from using script fonts for a while because I needed to “explore the world of type” a little more, and realize that script fonts [in some rare cases] are not always appropriate for every message. But, in this case, I feel that this delicate, flowing font goes perfectly with my hand drawn snow flurries (and I don’t see Professor Clarkson around anywhere to stop me)! And, if you’re wondering what font that is, it’s called Amigirl, and it’s awesome. 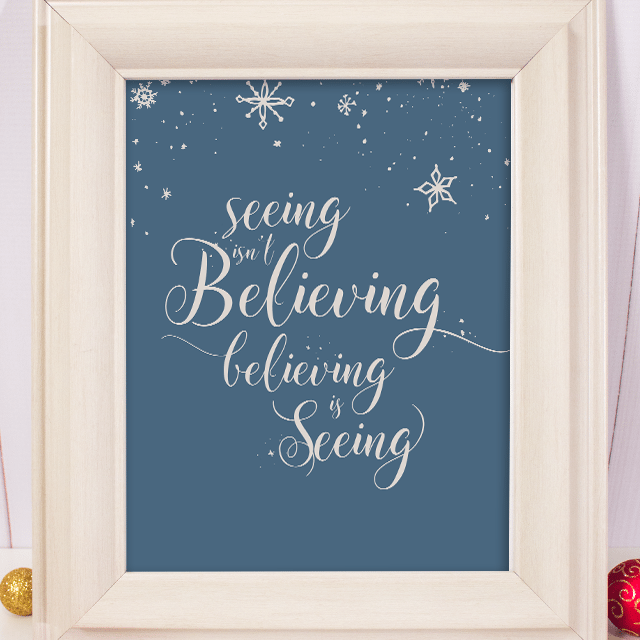 If you like this printable and are looking to create some festive art of your own, I’ve got lots of fun holidays graphics available for download on my website; including some hand drawn snowflakes I did last year, as well as the snow flurries used in this very design. Printables like these make for such cute, simple home decor! Plus, they can be great last-minute gifts for family members, neighbors, or co-workers. I always keep a stockpile of picture frames for that very reason. You’d be surprised how often it comes in handy (that could also be due to my knack for poor planning). 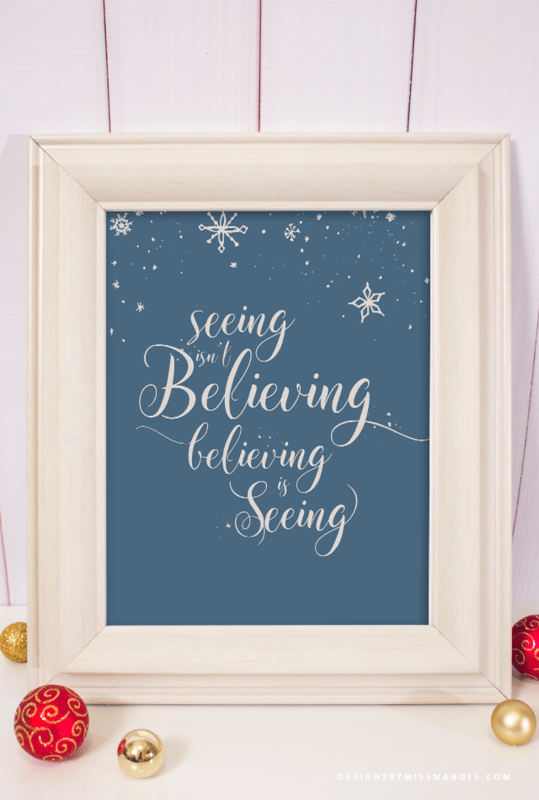 Whether you use this design to jazz up the walls of your own home or someone else’s, it is sure to bring Christmas spirit. So, good luck with your holiday decorating, baking, and gifting; and have a merry Christmas!